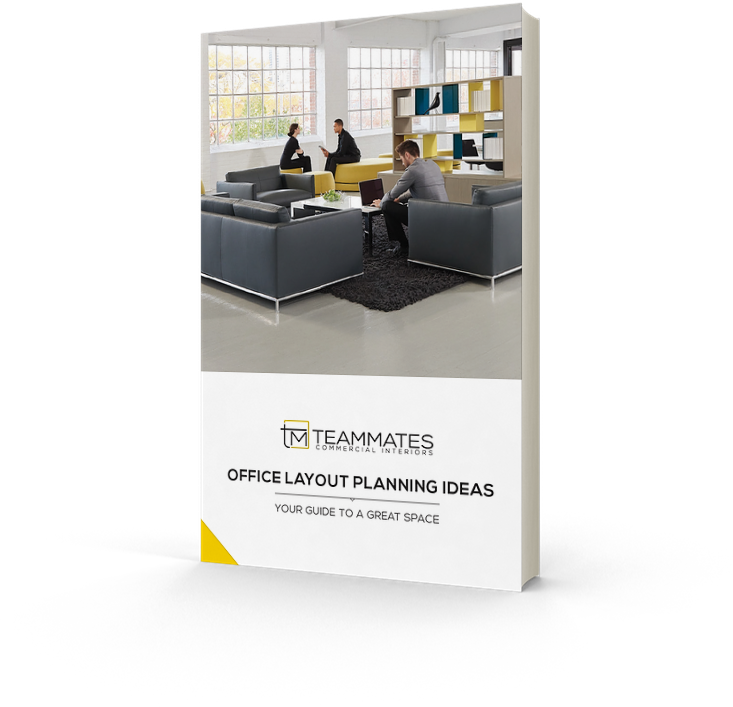 Countdown to Teammates’ NEW SHOWROOM is officially on! WHY are we renovating our showroom and WHAT is our design concept? Instead of having merely an office furniture showroom with products displayed across every inch of space, Teammates Commercial Interiors wanted to provide a beautiful, welcoming, high design space which reflects current trends in the workplace, one that caters more and more to the millennial generation than ever before…..and most importantly a space that feels like home! 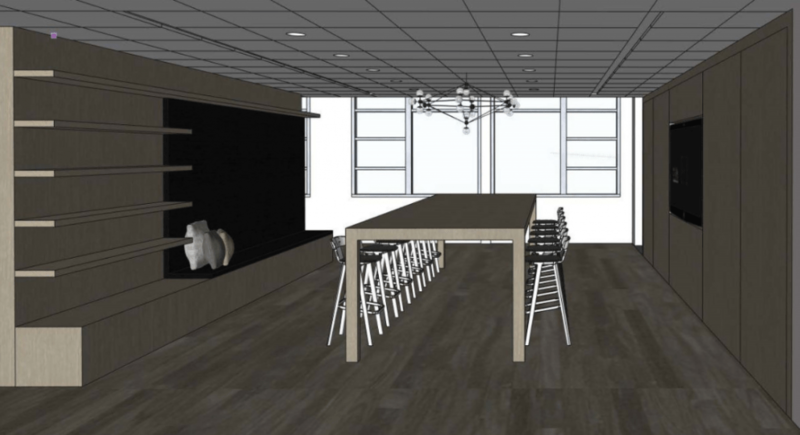 The design concept of our showroom will be that of a COLLABORATION HUB, which will include focused work areas, group work areas, a community table, and a fabric + finish area. We will also be showcasing furniture from many of our premier manufacturers. 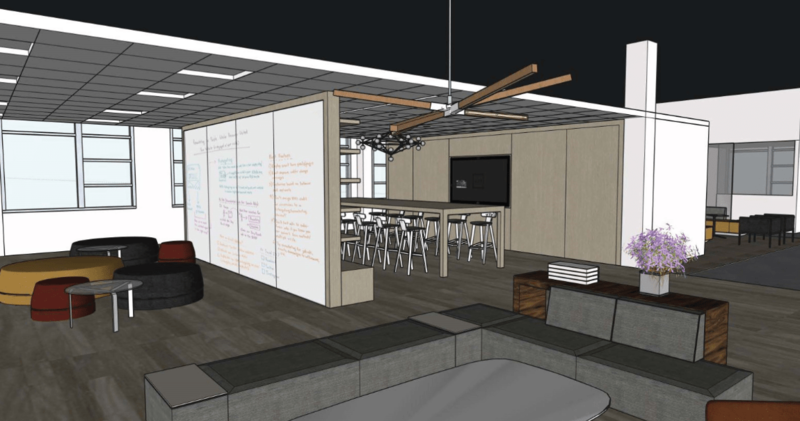 As construction progresses, the ‘team’ at Teammates thought it would be fun to give a sneak peek into the future design of our renovated showroom with the renderings included in this post. We look forward to sharing more previews over the next few months, and especially look forward to hosting clients in our beautiful new space! Book a tour of our new Showroom today!